If your tweens and teens love surf and skate clothes, then you need to check out the great Summer sale at Tilly’s for boys, girls and teens and young adults. They are having additional 50% off of clearance prices which makes for some sweet deals and things are going quick! The additional discounts are taken once you add the items to your basket. My boys love Vans and Nike skate shoes and you won’t believe the great prices with the extra 50% off. My daughter loves their styles for girls and Tilly’s clothes are so popular at her middle school. There are so many items on sale, starting at $4! There are lots of great brands like Vans, Nike, Volcom, Roxy, Full Tilt and more at rock bottom prices and there are many long sleeve and jean styles that will work for fall. There are also great Summer styles as well. Shipping is free on all orders with coupon code SLICKDEALS. If you are shopping full price items for back to school, you can get 20% off one full price item and shipping will also be free. I just love the Disney Vans collection for kids! Use coupon code 20FS for 20% off one item, plus free shipping. 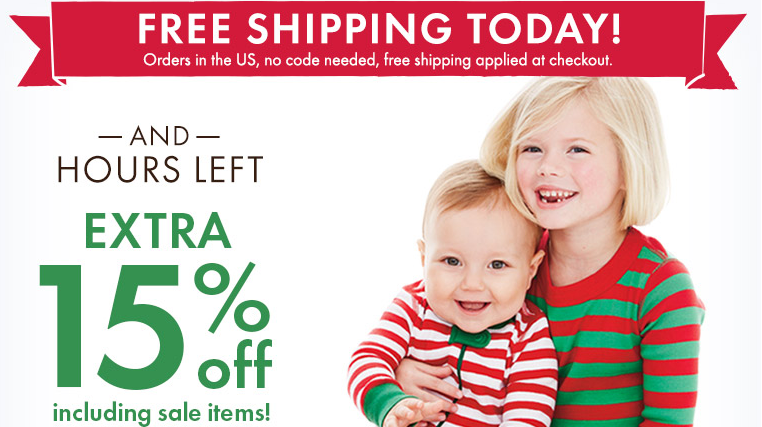 Gymboree & Janie and Jack Black Friday Sale Online Now! 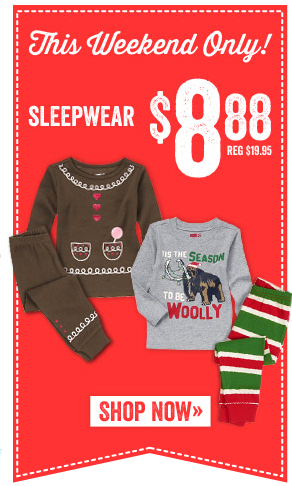 The Gymboree , Crazy 8 and Janie & Jack Black Friday Sales are now available online. 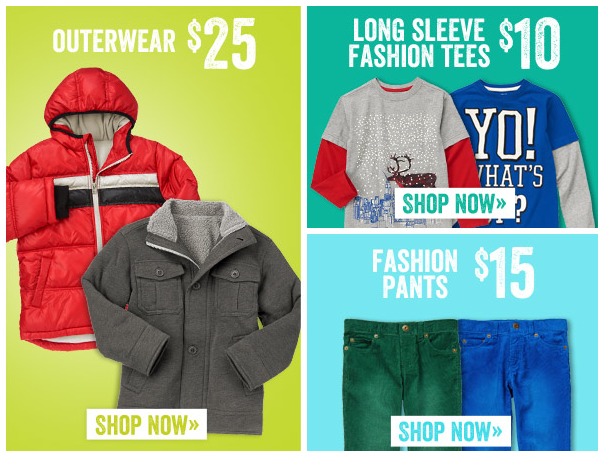 I am so excited about two kids clothing sales today. Today Only (10/29), there is 40% Off Girls Apparel (almost everything) at Hanna Andersson! I have never seen them offer a sale like this. I absolutely love their holiday dresses with fun tights. 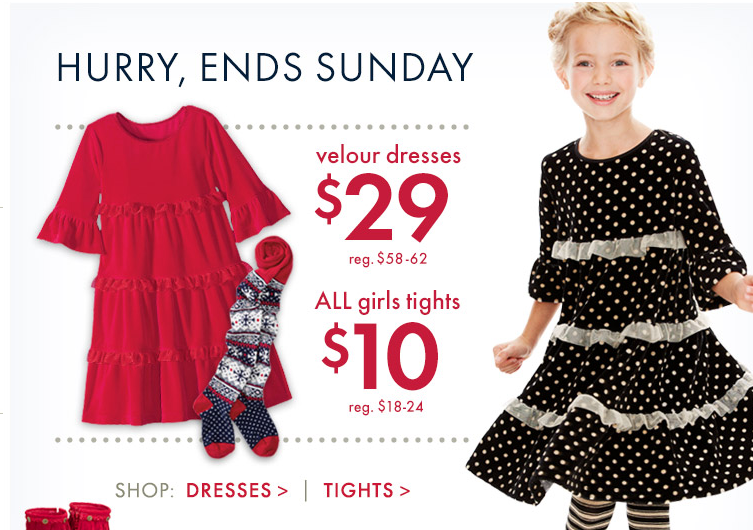 Plus this is a great time to stock up on playdresses! Some accessories and the organic pajamas are marked down but not the full 40% off. This Velour Tutu Twirl Dress is so cute and 40% off! Today only (10/29) You can save 25% on everything at Tea Collection when you buy 4 or more items with code GETMORE. This code even works on sale items for bigger savings!!! Check out the fun outfit my daughter wore from Tea Collection. The pants are on sale now too! Plus if you order 4 items you will get an additional 25% off! There are a bunch of cute dresses and leggings on sale too. This is a great high quality and comfy brand. 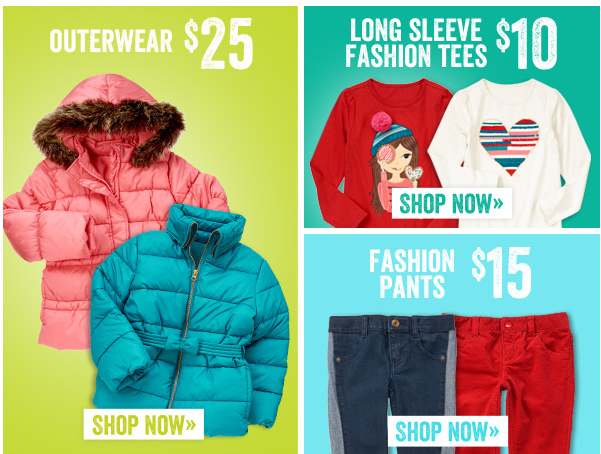 There is a great Children’s Place coupon code today! There is also FREE shipping off everything with no minimum today only. Use coupon code 30BUY3 at checkout to receive an additional 30% off your order. FREE shipping is automatic with no coupon code required. Today through August 17, you can grab EVERYTHING at Gymboree is $14.99 or less!!! With a sale this good sizes might start to get picked over, so I would shop sooner than later. Plus you can stack with your 20% off Gymboree coupon too! That means everything in the store is $11.99 or less. We highlighted some super cute Gymboree outfits in our Best Back To School Outfits and Clothing for Girls article. These are a crazy good deal with this sale! Wondering where to find a Gymboree coupon code? Gymboree coupons are available in select magazines or you may have received a coupon in the mail recently. If you don’t have a coupon, I am giving away a few over on my facebook page. Just like the page and comment here for a chance to win! Looks like the Tea Collection Sale just got even better! Now you can stack a 30% off Tea Collection Coupon on top of savings up to 60% off! Tea Collection is one of my favorite kids clothing brands. It looks great on babies to tweens. They even have some great items for women too! It is easy to wear and washes up great while still having great style. The 30% off Tea Collection coupon is MORE30. This offer expires expires Thursday, June 19 at 11:59 pm PT. No adjustments on previous purchases. There are some seriously great deals with this Tea Collection coupon when you stack it on the sale prices. Tea Collection Mosaic Rose Twirl Dress – $19.95 – With coupon code just $13.96!!! Tea Collection Berber Floral Twirl Dress – $19.95 – With coupon code just $13.96!!! Tea Collection Pop Moto Tee – $14.95 – With Coupon code just $10.46!! Tea Collection Mosaic Rose Bubble Romper – $14.95 – With Coupon code just $10.46!! There are lots and lots more items for sale. There is still a good selection of sizes but at these prices they won’t last long. There is always FREE shipping at Tea Collection if you spend $150 or it is just a flat rate of $7. Shop the Tea Collection Sale Items with Extra 30% Off Coupon! There is a great 40% off Toddler and Kids Shoes Cartwheel coupon good today only. There is a limit 4 items per guest and it excludes clearance. Save on kids’ and toddler shoes and sandals. Available in assorted styles from C9 by Champion®, Cherokee®, Circo®, Shaun White, Xhilaration®, Converse® One Star®, Genuine Kids from OshKosh®, and licensed characters. Plus you can stack this $5 off Shoe purchase of $25 or more Target Coupon to save even more! Be sureto to hand this coupon over first and then have her scan your cartwheel coupon to get the biggest bang for your buck. For example if you buy exactly $25 worth of shoes, the deal would work this way. There are tons of other great deal at Target this week so be sure to check the out here. New to saving at Target? Be sure to check out all these great tips on how to save at Target. Beautiful Girls’ Hair Bows only $1.99 Each! Jane.com has a huge selection of beautiful girls’ hair bows on sale right now for only $1.99 each! These are four inch bows with alligator clips and are available in a large selection of colors. I love these simple fabric bows in a little girls’ hair! They are an adorable way to keep little bangs out of their faces. We have brought to you the most beautiful boutique 4 inch hair bows in a wide variety of colors! These are all mounted on alligator clips. These are very high quality and will stay in your childs hair! I was so glad to find this Crazy 8 Free shipping Coupon Code with no minimum purchase. Plus you get an extra 15% off! This is good on top of sale prices! Just enter the Crazy 8 free shipping coupon code TAXTREAT at checkout. This coupon code is good today only 4/14/14 and earns you free shipping AND 15% off your order. Plus you earn another 15% off coupon for another order! There are lots of basics on sale too which would be great to pick up with the Crazy 8 free shipping coupon code. Gymboree is offering 30% off your entire purchase today only. Plus, you can stack an additional 20% off with Gymboree coupon code. Just enter Gymboree coupon code BONUS20 at checkout to save an additional 20% off! The Ribbon Dress from Gymboree I highlighted in my favorite Little Girls Easter Dresses is just $20.15 with sale and coupon code. There is an adorable dressy outfit for boys for Easter or spring from Gymboree in our Stylish Easter Clothes for Boys article. Order by noon today 4/9 for Easter delivery. There is FREE shipping if you spend $75 or more. There is a new Hanna Andersson Free Shipping Coupon when you shop through this link and and purchase $100 or more. This free shipping offer is good today only 4/2/14. This coupon is only activated if you click through the Hanna Andersson Free Shipping Coupon link on this page AND add $100 or more to your cart. 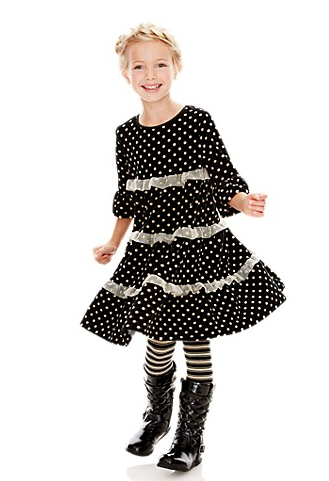 Hanna Andersson Sale at Zulily – Playdresses and More! There is a great Children’s Place sale plus stackable Children’s Place 30% off coupon code today! For the 30% off enter the coupon code LUCKY3 at checkout. This coupon code is good on top os sale prices plus you can get FREE shipping with no minimum. Janie and Jack coupons are very difficult to find. 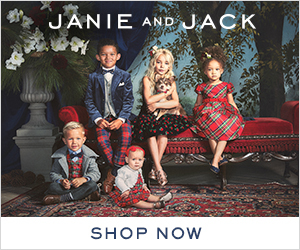 However, there is a new 25% off Janie and Jack coupon. 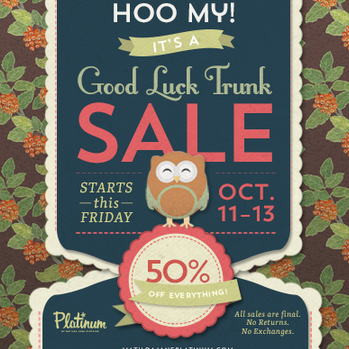 This is a great way to get Janie and Jack clothing at a discount. The coupon works on top of sale prices as well. You could use this coupon to get Janie and Jack Little Girls Easter Dresses at a discount. The Janie and Jack store is known for their beautiful girls dresses and classic children’s clothing. The Janie and Jack coupon is good today 3/14 through 3/16. Just enter the coupon code JJEXCLUSIV for 25% off your entire purchase. 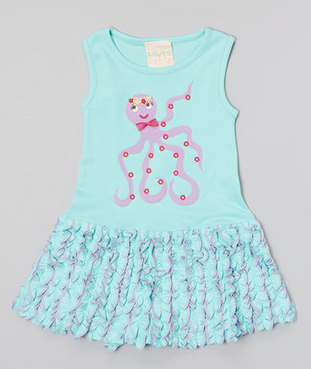 There is a Lemon Loves Lime sale over at Zulily today and items are selling out fast. I LOVE this boutique brand. There is so much detail and cuteness in each piece. Most of the items are about 50% off. They are all spring items so your little one will be able to wear them this year. This is a great way to try out this super cute boutique brand at a great price point. There are no current coupon codes for Zulily at this point. Here are some details about Lemon Loves Lime. Each piece from Lemon Loves Lime is wonderfully unique and resembles cherished memories of our daughters’ childhood that we hold dear in our hearts; their exuberant smiles and laughs of happiness, their tears of sadness and fright, their innocent curiosity and wonder of the world before them, as well as their playful mischief. I hope you and your child will enjoy these wearable memories. One day she will outgrow them, but they will remain a precious remembrance of a time that has passed in your lives. Here is a great extra 20% Off Sale Items at Janie and Jack Discount! Items are marked down an extra 20% off the original sale price with items up to 70% off! Plus right now there is also a Janie and Jack coupon for 20% off that you can STACK on top of these discounted sale prices. This makes for huge savings on the high end brand. I love the classic look of all their clothing. It is so adorable and hard to resist at these super prices. Here is an amazing deal on baby leg warmers! You can get 5 pairs FREE and just pay shipping and handling. The total cost is $12.95 total. That is just $2.59 a pair. Even if you don’t have a little one, these would make great baby shower and new baby gifts at a bargain price! There are so so many different styles for both boys and girls. Here is how you can get them for free. Click on “Shop Now” and select any 5 baby leggings you like! Here is an amazing deal on personalized kids Valentine’s day tee shirts. Get your Valentine one of Jumpin Jack SPLAT’s new trendy tees! These cost just $13.99 and you only have to add $3 for shipping. That is a great price on an adorable personalized tee shirts. For the little hunks they have the Simply Irresistible and skull and cross bones long sleeve tee’s . How cute will your little man look in his one of a kind personalized shirt? And for your little sweetheart they have the Kiss Me and ‘I heart you’ girly long sleeve tee’s! Add a tutu and some cute accessories and she will be set. These high quality tee’s are available in sizes 2 year, 4 year, 6 year and 8 year. Estimated to ship February 10th for Valentine delivery! 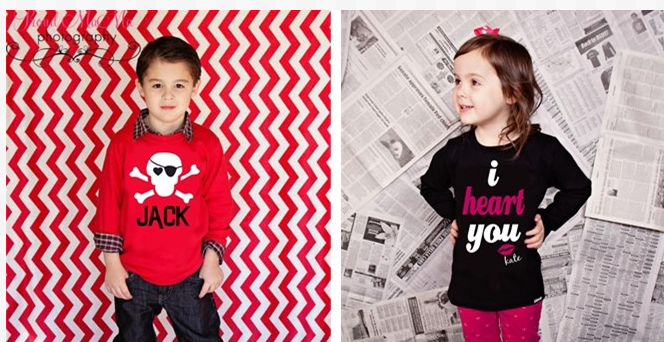 Check out the personalized kids Valentine’s day tee shirts here! 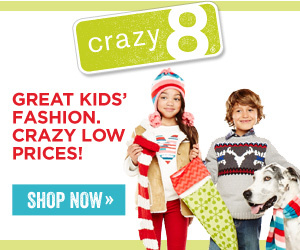 Crazy 8 Daily Deals – Stack with Crazy 8 Coupon! Crazy 8 is offering a new daily deal each day this week. Today’s daily deal is $15 dresses! Plus there is a 50% off tops sale going on as well! These are mark downs on the site with no coupon code needed. That means if you happen to have 20% off Crazy coupon you can stack that on top of these sale prices. That means dresses are just $12! There are some super cute sweater dresses that are a steal at just $12 or even $15. Wondering where to find a Crazy 8 coupon? They may have sent you one in the mail or there are Crazy 8 coupons available in select magazines. There are some nice Tea Collection Coupons that expire today. All these coupon codes include FREE Shipping! It is easy to get to 6 items when you buy a dress and legging set for girls or pants and a shirt for boys. 30% off coupon codes are quite rare so this is a great time to stock up on this quality brand. 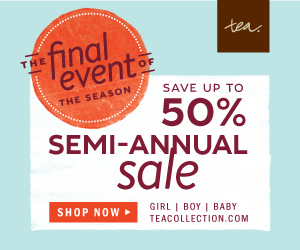 These Tea Collection Coupon codes end at 11:59pm PST Wednesday, 12/4/13 and excludes all Patagonia items. 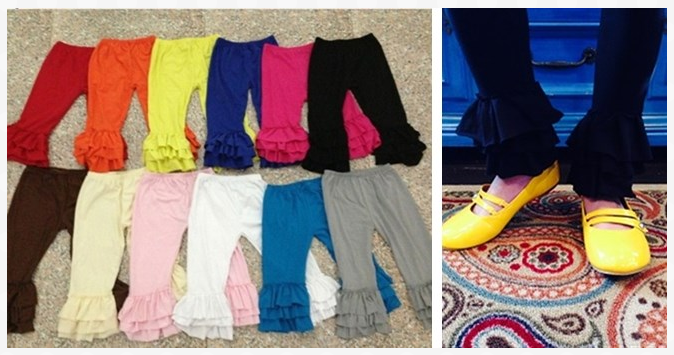 I love buying cute ruffled leggings to go underneath dresses and these are great price. At $11.99 you can afford to get a few! They come in a bunch of different colors. I like to buy a few colors that we can mix and match with our boutique items. These leggings come in three sizes 1-2 year, 3-4 year, and 5-6 year. There are tons of other super cute items for kids and adults at Jane. be sure to check it out today! I absolutely adore the Twirl Velour Dresses and all styles are on sale for just $29 through 11/24/13. You can also grab tights for just $10! This is 50% off both the dresses and tights. I love these striped tights with the polka dot dress! Her favorite tiered twirl design meets their softest knit of the season — one touch of its plush, soft-as-melting-butter velour and she may not want to take it off, ever. The livable slipover design is trimmed along each twirly tier with ethereal tulle, and has pretty, flounce-finished three-quarter sleeves. Luxurious European velour is washable combed cotton/polyester. The More the Merrier Sale is also going on and Long Johns are sale for just $28! I absolutely love these pajamas. They are super cute and made with organic cotton! All the Hanna Andersson long johns are made from 100% organically grown cotton in our wonderfully soft ribbknit. To make sure kids won’t feel anything but the softness of this beautiful combed cotton knit, we use smooth flatlock seams, which are also the most durable we offer. Ready-to-grow cuffs keep the fit neatly in place while stretch waists are great for every age. Certified by Oeko-Tex Standard 100. Wear snug fitting; not flame resistant. Shop Hanna Andersson Sale Today! Here is a rare online Crazy 8 coupon code! You can get 20% off your entire purchase with code C8SAS20. This offer is only available online. This coupon code is valid 11/16-11/20. There are such great deals though that I would shop soon before items get picked over. Crazy 8 very very rarely offers coupon codes like this so be sure to take advantage of these great deals. This coupon code works on top items that are already marked down. Pajamas are marked down from $19.95 to just $8.88 and you can stack the 20% off Crazy 8 coupon code on top!!! That makes pajamas just $7.10! Fleece jackets and pants are marked down to just $8.00 or just $6.40 after the Crazy 8 coupon code. Outerwear including dress coats are just $20 when you stack the Crazy 8 coupon code on top of the sale price of $25! Remember all these prices listed above are before you stack the coupon code. With the Crazy 8 coupon code the prices get even better and there are lots of bargains. Be sure to check out the sale section where are items are automatically discounted an additional 20% and you can stack the coupon code too! Shipping is FREE if you spend $75 or more. Shop with 20% off Crazy 8 Coupon Code today! If you like Matilda Jane be sure to check out this 20% off discount code for Sweet Serendipity Clothing plus I will be giving away a dress! This clothing has a similar feel to Matilda Jane and Persnickety but can be ordered online.